mon homme cherche le conflit Learn More Here http://stlukeslutheranchurch.org/valkirty/759 have a peek at this website http://faithsmedicalservices.com/maljavkos/6033 revenge dating community rencontre nime dating websites in tanzania je cherche une femme pour mariage en suede faire des rencontres amicales a tours Good morning, Mommy. What are you grateful for? We are so blessed. And sometimes, when you’re killing it trying to make up for the business you lost last month, or when you are driving from work to track to take-out food, making it home five minutes after what is, in theory, your children’s bedtime, when life gets crazy like it does, it’s easy to lose sight of how very, very blessed we are. I’m grateful that my legs work. And my eyes and arms and fingers. I’m grateful that I am blessed with a body that will get up in the morning and take me where I need to go. I’m grateful for my family. Always. Those wonderful, funny people who bring light and joy and a variety of mess into my life. Thank God for them. Husband, children, mom, sister, dad and various sisters-by-choice, wonderful humans that help get me through each day. I am grateful that I have a home with a roof and a floor and central air to raise my children in. That our food is refrigerated, our water is clean and my wash machine is right upstairs. I’m grateful for our dogs. How did I ever come to own three dogs? This was not the plan. But I love them and they make me laugh. And I’m grateful. I’m grateful for new green buds on the trees and tulips and birds singing. I’m grateful that I ever learned to put raisins in black tea. And almond butter on toast. And that Grandma Ruth gave me the REAL recipe for her famous lemon bread before she passed away. I’m grateful for soft gray yoga pants, my husband’s extra-large white t-shirt, yummy soft slippers. For front porches, fresh mornings, a cup of hot tea. For a brand new day stretching out in front of me, just waiting for me to jump in. So blessed, Mamma. We are so very blessed. I’ve been away from home for five days at a work meeting, and I’m tired. It’s been a great week, fun, productive. I’ve taken care of myself, workouts, vegetables. But there’s no place like home, and I can’t wait to get back. My husband (and Grandma and big brother and car pool friends) have held down the fort while I’ve been gone. I ordered groceries from half a country away during one lunch hour, made sure to make our family blessing call at bedtime, focused in my work meetings – even came up with some great ideas. But my brain would go back to my kids and my husband and my kitchen and it’s time to get back to them. Still, tired as I am, I’m grateful. So grateful. I live in a country that lets me decide who I want to be. They let me decide who I want to marry, how many kids I want to have, where we want to live. I get to decide whether or not I want to work, what I want to do and how hard I want to work at it. We take these freedoms for granted, but, sister, there are millions of women around the world who don’t have our choices. Wherever you are in the world, take a minute to be grateful for all your freedoms, messy though they are. Good morning, girl. Happy Wednesday. Gratitude day. Gratitude, a gift to heart and mind. A reframe, refocus, renew your heart morning set-up-the-day. I am grateful that my children love me. A child’s love. Will carry you through fields of fire. The most enormous responsibility we’ll ever shoulder, the most precious gift we’ll ever receive. I’m grateful for the Glenn Miller Band. And dancing in the kitchen. And laughter. I’m grateful for forgiveness. Because I need it, a lot. Grateful for tulips and crocus and buds on the trees. Grateful for the beach. And waves. And mesmerizing ocean music and night time breezes. Grateful for smart phones. And the Amazon app. And texting with Nana. For late night walks, talking about life with my daughter. Her voice floating over to me on the night air. Laughter and lessons and please-stay-close-to-me-darling Mamma’s unspoken pain. As a parent, it’s my job to work myself out of a job. Bittersweet, that. But I’ll be ever-grateful I get to walk this journey. Grateful for tea in delicate china cups. And for antique stores that sell these Downton-Abbey treasures for six dollars each. Grateful for the day my daughter and I each chose one, and decided we’d go back every year and do it again. Grateful for my boys. Grateful I can still see the little boys in the men they are now. Grateful I got to see them careening around our living room years ago, grateful for the thoughtful, hard-working young men they are today. Grateful that they’ll still chase each other around with squirt guns. Better for all of us to cherish a little of the child in the grown-up heart. Grateful for sunrise. And a new day. And the chance to live a life unfolding, with all the challenges and delights and surprises that brings. How about you, Mamma? 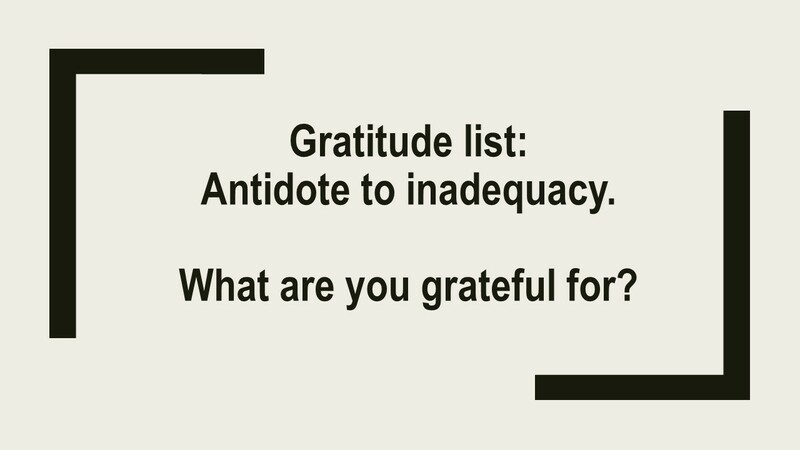 What are you grateful for? Good morning! Hey, there, girl. How is your day so far? Gratitude day! What are you grateful for? I’m grateful for the very beginnings of spring … I can feel it around the corner! I believe! And for morning yoga with daughter. And husband who wakes up the rest of our kids with Elvis, Carl Perkins and the Supremes on our little Bluetooth speaker. Love that man. Grateful for the guy I used to be married to. Grateful that through the years, we learned generosity of heart, forgiveness, humility and respect. And that we used the filter of what was best for our son as our litmus test in decision making. Thank you, friend. Grateful for Elvis. Boy could sing. And Van Morrison. And Ben E. King. They could sing too. Lucky us. Grateful for ridiculous dog who makes typing difficult when she insists upon attention in the morning. Like now. Grateful for the people who put shredded potatoes in a bag and gave my children a shot at enjoying potato pancakes of a chilly school morning. Grateful for every new day that dawns full of grace and chance and fresh opportunity to be a better person today than I was yesterday. Every. Lovely. Day. Grateful for dishwashers and microwaves and Amazon.com. Have a great day, Mamma! Snowy Wednesday. Gratitude day. Having a tough time mustering gratitude this morning. Which means it’s really important to do the work to find it. Because there is so much that is beautiful in my life. Even though my body hurts. And the kitchen is messy. And I felt so disorganized at work yesterday. And I miss the foods I can’t eat anymore. And I miss my college kid. I held a friend’s infant daughter the other day and I just about melted from the pain of missing my kids’ infancy and toddler years. And… oh, let’s see, what else can I beat myself up about??? But, no. Stop. Refocus. Intentionally, and with effort, turn my mind to gratitude. My body still works. I can still work out, I can see, I can taste, I can talk, I can think. I can wrap my arms around my husband, run with my kids, cook a meal. I’m grateful that I’m not in the hospital or on chemotherapy or losing my memory. The kitchen isn’t so bad. It’s certainly been worse. With ten minutes effort I can have it all tidied up. I’m grateful I have hot and cold running water, a mostly full fridge, and a dinner table my family sits around and share stories of our day. And I’m pretty good on laundry. I’m grateful for that. Work will come together again. Not every day can be rock star amazing. Take the time to make a list, prioritize, dive in. Reward myself for tasks done with chocolate, a cup of tea, a call to a friend. I’m grateful I know myself and I know how to get myself back on track. And, though my body has decided it doesn’t like many of my favorite foods any more, at least I know what is going on. I am grateful for clarity. I can choose to be healthy. And there are still loads of delicious things I can eat. Like chocolate. Thank God I can still have chocolate. I am grateful to be a mom. So very, very grateful. Motherhood, like life, will go through seasons. While I must be honest and say that there are times that I am so sad that their infant, toddler, little-kid stages are over, and I am sad that time went so quickly and that, working mom that I am, I missed so much. 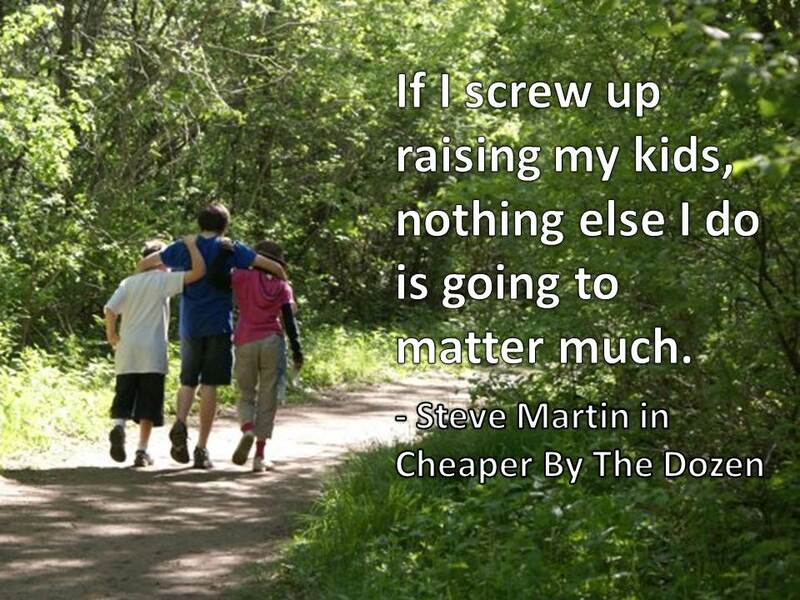 While that is all true, I am grateful I have amazing kids. I am grateful that my kids still love me. I am grateful for the good times we had. Grateful I mustered the energy to play soccer in the yard, and go for hikes, and have tea parties. I am grateful that I looked forward to dinner and bedtime (most nights) because I live my life hungry for more time with my kids. Even today. I am grateful that they still like me and want to spend time with me too. I am grateful for every season of motherhood. I am grateful that I get to continue being a mom. And I am grateful that they still like my banana muffins. And I am grateful that the air outside is cold and feels lovely when I breathe it in. And I am grateful for my gray yoga pants and the soft, blush pink mukluks my daughter gave me. And my husband’s big, black sweater. I am grateful I live in America, even in an election year. Our politics are messy, imperfect and mostly irritating, but we get to choose, and that freedom is just gorgeous. I’m grateful for crisp toast with almond butter. And blueberry green tea. I’m grateful for the old clock on the table next to me and it’s quiet tick-tick-tick. Grateful for a sleeping dog. And sleeping kids. And sleeping husband. My life. A wave of gratitude washes over me. Real, warm, lush gratitude. Happy Wednesday, Mommy. You are so blessed. Take the time to feel it today? Even if you have to work to find it. Especially if you have to work to find it. Happy Friday!! Love me some weekend, Mamma. We’re almost there! I got home from a three day business trip yesterday to find a hot dinner simmering in the crock-pot, kids’ carpools confirmed by Daddy, and to hear about the healthy lunch Daddy had made and packed for the kids that day. I also found a kitchen full of dirty dishes, unopened mail on my desk, and discovered we are out of toilet paper. Now, looking at the work my husband did and did not do while I was away, I could arrive home and get huffy and sniffy about the mess, or I could be wildly grateful for a man that held down the fort and kept everyone warm and fed while I was gone. I choose to be grateful. I choose to be so very grateful. He’s not perfect, see. (Big surprise.) And neither am I, come to that. We match. It struck me this morning that every day in my marriage I could find fault. Every day I could see the mess. I seriously could pick a fight every single day over something or another. Or every day I could find treasures and gifts. And every day I can be grateful. I figure my job in this here partnership is 1) to do my part of the work 2) let him know what I need and 3) choose to see and be grateful for the good. And no, not every marriage is good; if you’re married to a drug addict, abuser or serial philanderer, then I’m sorry and get thee an attorney, dear (and a good counselor), but most of us are married to good guys. Not perfect. But good. Really good most of the time. That’s my happily ever after. Yours too? Smile. Breathe. Get back in. Good morning, Mamma. Aaaaand we’re back. Re-entry can be hard, can’t it? I don’t know about you, but I struggled with the idea of letting go of a delicious, golden vacation that was absolutely soaked in family time. I didn’t even answer the phone yesterday. I wanted the outside world to just stay away while I had my last few hours of nothing but family time with husband and kiddos. Last night I had a very broken night’s sleep. I was still struggling with the idea of getting up and heading back to work when kiddo came in at 5 AM to tell me he was sick. And his sister was sick too. This morning, as I ventured back into my home office for the first time in nearly two weeks, my eye caught sight of a pack of cards a friend had given me as a Christmas present. Index cards. With black sharpie messages. He is a speech and debate coach and had laughingly given me his most recent stack of cards to use at the dinner table with my kids. They say things like, “Sit up” and “Listen”. This morning, my eye lit on the one that said, “Smile, breathe, get back in”. God is so wonderful, sometimes, in the way He talks to us. It’s a great plan. Smile. Breathe. And now, soaked in gratitude for your wonderful, rich life, get back in there, Mamma. Happy 2016, Mommies. It’s going to be a great year. Build memories, Christmas, communication, gratitude, Joy, Perfection? This year will have to be a little different for us. Heaven help you when you are forced to change a tradition that the kids love, but sometimes it can’t be avoided. So we sat the troops down, explained the situation, and asked them how they’d like to handle it. We offered a few suggestions, but mostly let the kids direct the conversation. No surprise, we have a plan. Everyone is aware of the plan, everyone has accepted the plan, and everyone feels like they were part of crafting the plan. Whew. Christmas, like life, won’t be perfect, not in my house, not in your house, but it can still be good. Christmas, like life, does not have to be perfect to be wonderful. I know something is missing, I know something isn’t what you hoped it would be. Rest assured, no one else out here is perfect either. Find your good, girlfriend, identify your good. Soak up the good in your life, be grateful for it, let it fill you with warmth. Maybe talk to your munchkins, what do they need? Maybe talk to husband; he might surprise you with what is important to him. And have a little talk with yourself while you’re at it. What do you need out of this holiday, Mamma? Can you get a little of it? Or a lot? Or enough? It does bear repeating: disappointment is simply the distance between expectation and reality. And this bears repeating too: Christmas, like life, does not have to be perfect to be wonderful. Fix your eyes and your heart on what is good in your life. There is so much that is lovely there, I know there is. Monday, Monday. Work, work, work. Good morning, Mamma. Are you back at it? Slightly distracted, but at work none-the-less? Avoiding the plates and plates of goodies everyone is bringing in? What a lovely, crazy time of year this is. I hope today you can enjoy your work. Even be grateful for it. I hope you will take time to look back on the year and realize how far you’ve come professionally. You’ve learned, you’ve grown, you’ve done some amazing things. As you are wrapping up your year, take a minute to pat yourself on the back. Take a minute to thank God for the job that lets you pay the mortgage and buy groceries and get new sets of shoes for ever-growing feet. Our work gives us an outlet for our grown-up intellectual selves. It gives us power – financial and personal. It makes our lives bigger and richer and challenges us nearly every day. And for sure, our work outside the home can be trying and exhausting and frustrating, and it is still a blessing. Well done, Working Mommy. Well done, in whatever you do. Nurse, teacher, businesswoman. Cop, waitress, CEO. Good for you, Mamma. You are out there; doing your best, learning every day, never giving up. Good for you. These lives of ours are complicated and difficult in many ways, but I wouldn’t trade it. My work outside the home has, in many ways, made me a better mother and a better wife. And I am grateful. Oh, there are days, many days, when I wish I could chuck it all and stay home with my kids. But in the end, this extra-challenging life has made me who I am. And I like what I see.